We invested quite a bit of time to cover our code with as many unit tests as possible. Of course the decision on how to develop unittests was pretty easy, given that we are working on django. We used django's testing framework and standard library unittest from django utils. 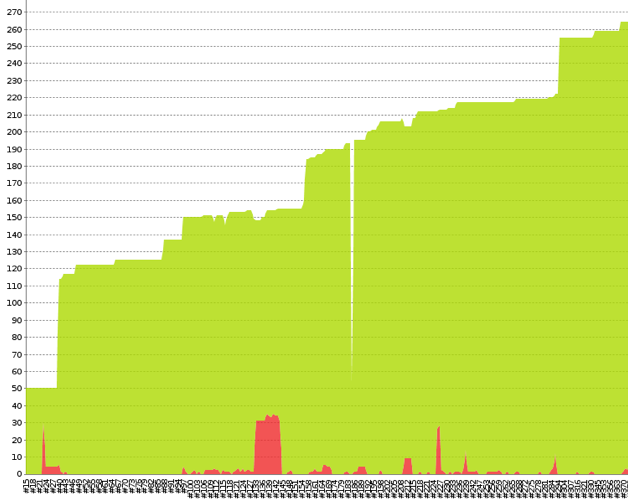 Currently we have an overall coverage of ~85%, and here is an example of how it changes over time. 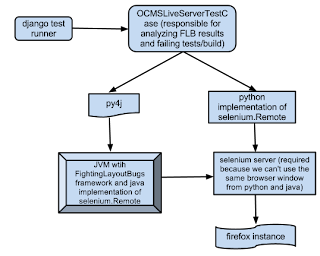 Selenium is the standard way of performing functional testing. It simulates a user's browsing behavior on a site. This is what is used also for oDesk's functional testing. Since ver1.4, django supports natively selenium testing. [...] LiveServerTestCase allows the use of automated test clients other than the Django dummy client such as, for example, the Selenium client, to execute a series of functional tests inside a browser and simulate a real user's actions. For every basic group of pages oDesk's visitor site supports, extensive functional tests are written to identify and report broken pieces of the site. All of those looked pretty promising and are open source. [it] will crawl the website on a given platform and browser, while crawling it will record the HTML elements rendered at each pixel of the page. Later this data will be used to compare and calculate layout score. The approach Quality Bots is following sounded really promising, but integration of such a tool in our infrastructure turned out to be more time consuming than we wanted, so we decided to defer this for a later time. However, I strongly recommend anyone working on testing to read though Quality Bots wiki/code, to understand how it works. Even if you don't end up using the tool, you can definitely get ideas out of Google's testing procedure. We use various tools to test our site's performance. A well known tool we use is apache's ab tool. ab is a tool for benchmarking apache's HTTP server. 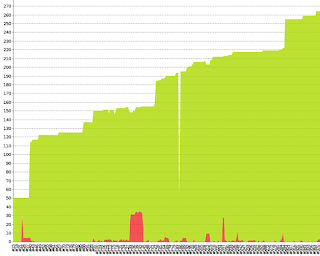 It shows how many requests per second (RPS) an apache installation is capable of serving. Last but not least, something that we are currently looking into is a log replay mechanism to measure our performance. In general with performance testing, we can test with various loads and for some specific URLs, though the traffic we produce is not realistic. With log replay functionality we have the ability to "replay" requests based on apache's access log. This way, we have the ability to measure our performance under traffic that is produced by real users. I would strongly recommend, if you are interested in reading about performance testing, to go through this resource: http://www.igvita.com/2008/09/30/load-testing-with-log-replay/, its really useful.